Louis Erard put its first watch on the market in 1931. The new Louis Erard 1931 Collection Moonphase watch is a perfect example to demonstrate that expertise, flawless quality, and small complications can still go hand-in-hand with affordable pricing. This timepiece features an automatic ETA 2824 movement with complication Dubois Dépraz 9000 to show the day, date, month and moonphase. The date is circled around the center of the dial while the day and month show in two separate windows above the center inside of the date circle. The polished steel case which is quite large with 51mm in height and the silver dial under the anti-reflective bombed sapphire glass give this timepiece an elegant and classy look. In addition, when you turn this watch around, you can view the beautiful movement through the see-through caseback. The gold accent indices on the dial, and the gold Arabic number 12 at 12 o’clock contrast the silver dial and provide excellent legibility that’s further enhanced by the gold hands. The golden indices and hands also give a kind of vintage feeling to this beautiful timepiece. The golden moon on the dark blue background shows the moon which rotates on its axis once in the same time as it orbits the earth taking a little more than 29 days. The moonphase is a quite amazing complication on a mechanical watch, as you can see, and it’s a tremendous mechanical accomplishment to be able to adjust and account for the moonphase independent of the month, since a solar month can vary from 28 to 31 days. When I got my first mechanical watch, it aroused a strong interest in how the moonphase works and how the relationship between earth and moon functions. It has been quite a learning experience, which I’m happy not to have missed. 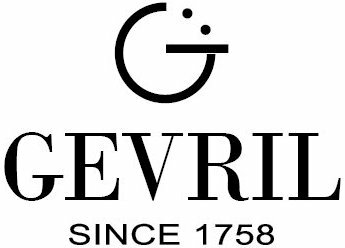 Gevril Group is the sole US agent for Louis Erard Watches. Contact us, by email or at 845-425-9882.